Keanu Reeves' latest science-fiction thriller Replicas, a movie where The Matrix star plays a biologist who resurrects his family as clones after they die in a tragic accident, has not had an excellent adventure to the big screen. The film, which carries a reportedly $30 million budget, was picked up for distribution at the Toronto Film Festival in 2017 but was only just released in the US, where it debuted on 2,329 screens and only grossed $2.5 million. In a word: bummer. While Reeves has had flops and bombs in his career, like any movie star, this one is particularly brutal. As The Wrap points out, the opening weekend tally is his worst debut on over 1,000 screens, performing well below the now forgotten Kevin Kline comedy I Love You to Death, which featured Reeves in a supporting role. According to Box Office Mojo, Replica's $2.5 million haul puts it in the 30 worst wide 2,000 screen openings of all-time. Smaller Reeves films, like last year's not great romantic comedy Destination Wedding with Winona Ryder, might have made less, but they were not given as wide of a release. The film's distribution strategy has some wondering why the movie, which also features Silicon Valley star Thomas Middleditch, was even given a wide release in the first place. 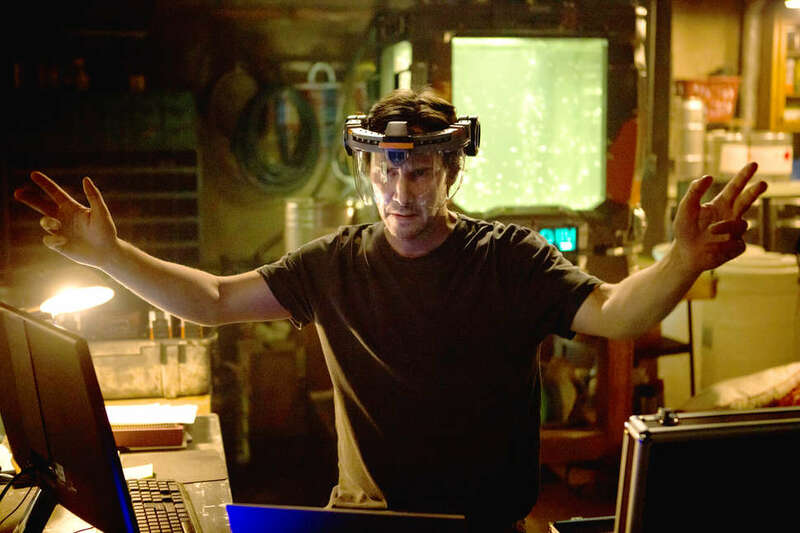 With so many middling science-fiction movies available to watch on Netflix and other VOD platforms, Replicas had a difficult time standing out in a crowded marketplace. Why seek it out in a theater when you could watch Bird Box or Extinction from your couch? As the trailer indicates, this isn't a fight-driven action extravaganza like John Wick; it's more somber and downbeat. His character may know biology, but he doesn't appear to know kung-fu. Also, importantly, according to most critics who actually saw the movie, it was terrible! Even in January, a month often (perhaps unfairly) perceived as a dumping ground for new movies, Replicas received the type of reviews that make you feel bad for the star. Indiewire declared it a "hilarious mess," while The A.V. Club claimed it was "so terrible it could give you an existential crisis." The beatdowns were almost Gotti-esque. The movie's poor performance is indicative of the strange place an actor like Reeves now occupies in pop culture. On social media, the 54-year-old actor is praised for his kind, soulful demeanor and his striking, unchanging physical appearance. He's almost more meme than man. Similarly, his hypnotic and exciting John Wick movies are beloved by action fans and the franchise has further solidified his status as a legend in the genre -- the third entry in the series, John Wick: Chapter Three, arrives May 17 -- but his non-Wick starring vehicles have struggled in recent years. If he could clone John Wick and inject a little of its DNA into Replicas, maybe it would have fared better at the box office.